Organizing photos collection in a uniform manner seems to be a pain. Keeping them with you seems to be a bigger one. 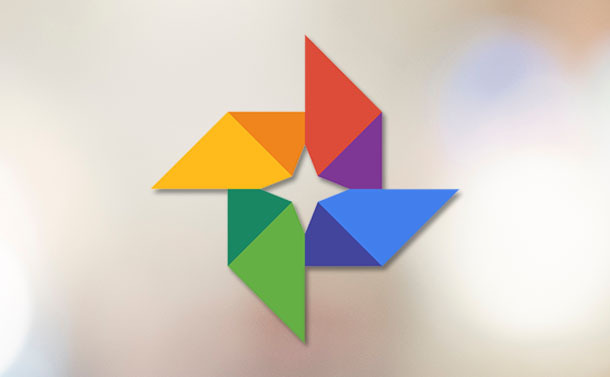 One of the best photo album apps for iPhone and Android, Google Photos takes care of all. It is a complete package with features like free storage space and smart AI, ability to create folders, collages and more. However, there are a few shortcomings of the app as well. One of the biggest bumps in the road is, no desktop app to let its users save the photos offline and issues with manual organizing. So, if you are looking for an alternative to Google Photos, you have come to the right place! In this post, we have listed some of the alternatives to Google Photos. Prime Photos from Amazon is one of the best options to use if you don’t want Google Photos. Amazon Prime Photos provides online photo storage to Prime members for free. With the app, you can seamlessly save and share unlimited photos on smartphones, tablet, and desktop. You can share the photo storage with up to five people. The tool also allows you to collect photos in the Prime Photos Family Vault. It gives you the freedom to upload your photos from anywhere. Finding location, searching people and other things is easy on the app. One of the best alternatives to Google Photos, Piktures makes you access your photos faster than other apps. You can access your photos from the app, by sliding on the right-hand side, no matter whether it is stored online or offline. You can access editing tools with ease. It will help you to compress the image so that you don’t have to use a lot of efforts. With the app, you get an inbuilt video player to play your videos inside the app. With this app, you can access photos and videos on more than one cloud storage such as OneDrive, Google Drive and will support others in some time. You can also hide your personal photos behind a secret drive, locked with a password, pin or fingerprint. Flickr can be considered as a pretty good app and Google Photos Alternative. Upload, edit and share your photos irrespective of the device you are using and location where you at. The app gives you an option to auto upload photos and videos and stores them on Flickr camera roll without any hassle. Accessing the photos from Flickr app is easy that’s why you can keep them on cloud and recover space on your phone. You can browse and organize thousands of your photos in seconds. With an inbuilt photo editor, you can beautify, crop, rotate your photos as per your preferences. Along with colorful themes to attract, QuickPic comes with a modern design. The app is easy to use and opens up fast, making accessing photos seamless. It gives you the option to keep your personal photos private and locked with a password. You can sort, create and rename folders and move or copy your data easily with the app. You can view your photos in a high-quality slideshow. It supports multiple online album services, such as OneDrive, Yandex, Amazon, Google Drive, Dropbox, Samba and more. Organize your photos with A+ Gallery, one of the best alternatives to Google Photos. The app is easy to use and comes with an intuitive interface. Whether it is viewing an HD photo, searching photos, you can rely on this app. A+ Gallery enables you to access photos from Amazon Cloud Drive, Dropbox, and Facebook. If you want to create a backup of your photo collection on DropBox or download a Facebook album, you can synchronize them both on your device with A+ Gallery. You can store your personal photos to the secret vault of the app to secure them. Shoebox can be a perfect Google Photos alternative as it offers a lot of features, along with the unlimited free photo backup. The app uses a high-level encryption to ensure security. It can also take backup of your Facebook albums. You can access your photos, irrespective of the platform you use. It provides you an option to share your precious moments with your friends and family. You can search for photos by the time of day, locations, camera and more. You can create a backup of your camera roll on your computer without using connecting cables. Save and share your photos from your own private space with Cluster. All you need to do is, create a group space and add people who want to give access to. That’s it, now your loved ones can check out the photos and best moments captured. The app keeps you informed by sending notifications when anything new is added. It also provides info, such as which member seen or liked your photos. You can access your photos anywhere, anytime, on your Android, iOS and on the web. So, these are some of the apps that could be used as an alternative to Google Photos. Try them and keep your photos organized. If we have left any of your favorite photo album app, please let us know in the comments below. The Best Eco Friendly Apps: A World Environment Day Special!